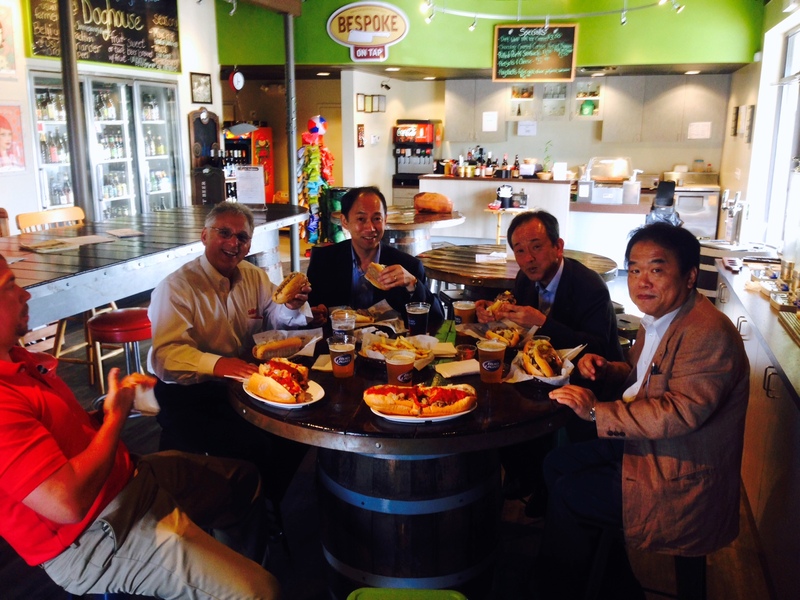 We are thrilled to be having lunch with the President and CEO Jiro Ishizuka and Chief of EU/USA Operations Yoshitsugu Toyoi of Semitec Corporation this afternoon. We have been providing probes to Semitec USA Corp. for a while now and could not be happier with how our relationship is flourishing. We thought it would only be appropriate to give them a true Philadelphia, Pennsylvania experience with lunch at CJ’s Doghouse to get some Philly Cheesesteaks and locally brewed beer.